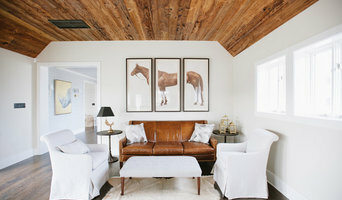 Scott Weiss founded his residential architecture firm over 25 years ago and has been committed to providing his clients with personalized home design, working one-on-one with them to carefully craft a place that fits their lifestyle and aesthetic sensibilites. This is accomplished with a strong emphasis on regional styles and designing buildings that are appropriate for their surroundings. After twenty-five years of varied experience including commercial architecture and interiors, H. Adams Sutphin formed SUTPHIN ARCHITECTURE, PLLC in 2006 to concentrate expertise on residential architecture and related structures. With the mantra of "the design process need not be elusive or intimidating for the client" - in short - "less drama, no trauma", Sutphin Architecture has been able to extend architectural design in a straightforward way that allows the client to express their desires and welcome a project that they love. Client integration is the key to understanding the design problem. Architectural experience related through precedent and exploration of forms, proportions and details results in projects that are comfortable in their place, appropriate to their context and finds answers to the design issues that are presented and those that evolve during the design and construction processes. Mr. Hunter is "hands on;" he is a Class 'A' Licensed General Contractor and President of England Street Construction. His experience as a builder provides valuable insight to the complex requirements and difficulties experienced by contractors both residential and commercial. This understanding allows Keith Hunter & Associates, Architect to provide the highest quality architectural services to our clients and their builders, helping to keep projects on schedule, on budget, and built to the highest standards. Mr. Hunter established and has maintained Keith Hunter & Associates, Architect since 1986 after being mentored by several of America's finest architects including Philip Johnson. Throughout the years Mr. Hunter has had the opportunity to work on just about every building type He has designed over a hundred residential projects including new homes, renovations, additions, and outbuildings, many having been featured in magazines, most recently in Boomer Magazine and Better Homes and Gardens. Each of these unique projects is approached with a deliberate creative and pragmatic personal design process that yields functional architecture, and carefully addresses existing conditions, budgetary constraints, and aesthetics. The individual requirements of each project has brought insight to the next. D+D Studio was established to offer the highest level of architectural design to clients at an affordable rate. With 10+ years of experience, we have obtained a great deal of knowledge related to all aspects of residential design. From a room addition to a new 8,000+ custom single family home, D+D Studio is equipped to handle any project. We pride ourselves on keeping clients informed and walking them through the entire process from conception to completion. There is no better feeling than seeing smiles appear after the job is completed!! D+D Studio brings the picture in your head to life through the use of computer drafting and top-of-the-line rendering tools. Client relations is a top priority, so when you start a project, you will have the same contact throughout the entire process. No worries of being handed off to someone else. No matter how large or small, D+D will treat your project with the same interest and level of detail. Have peace of mind when hiring D+D Studio. 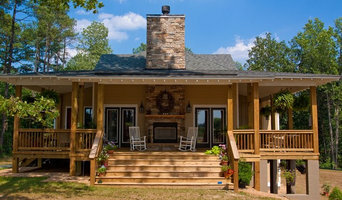 Designer of Single Family Homes, Additions and Renovations in Virginia. We put Home Owners and Home Builders on the Same Page with Great Design! Michael Bowling has had over thirty years of experience in the residential construction industry as a carpenter, project manager, draftsman and designer. He is a Certified Professional Building Designer and a member of the American Institute of Building Design as well as a founding member of RevitRVA. His time working for great builders and design firms such as Mitchell Homes, Lifestyle Builders, Grace Street Home Additions and Commonwealth Architects has given him a rich resource of experience to draw upon. This experience includes the technical aspects of building design, as well as the creative design skills needed to make your home or addition pleasing to live in and beautiful to the eye. Michael’s passion is finding the right design solution for your particular need, crafting a home or addition around the way you want to live, while keeping an eye on proportion, balance, style and budget. One part technician and one part creative thinker, Michael pulls the practical and expressive together to create a beautiful living space for you and your family. We believe enduring architecture springs from a deep understanding of the place, the needs of the project and the desires of our client’s merged with an ecological, cultural and aesthetic intelligence. Founded in 2004, Hays + Ewing Design Studio has focused on the careful integration of buildings with their environment. This focus operates at several levels — in harmonizing buildings with their surroundings, and in the integration of building and natural systems, such as cooling through natural ventilation, rainwater collection, and harnessing energy from the sun. The breadth of the project types and scales, is evidence of our ability to tackle diverse projects and places with a clear vision specific to each. Over the years, we have worked on a variety of types of projects including academic and cultural institutions, commercial buildings, mixed-use projects, single and multi-family residential as well as planning projects. With a global architectural background, both Hays and Ewing have lived and worked in Europe, Asia as well as the United States. Both have worked on award winning projects with Cesar Pelli, Renzo Piano and more recently as partners with William McDonough. Currently, our studio has projects underway in Virginia, North Carolina, Maryland and Arizona. Hays + Ewing Architects and Planners has been at the forefront of the green design movement with thirty years of collective experience in the field. We have worked on numerous projects recognized for their excellence in sustainable design and commitment to ecological principles. We are currently working on a mix of houses with regard to size and budget. Our project in Virginia Beach, Virginia takes advantage of stunning views with a second story covered terrace. The house is designed around the highly energy-efficient passivhaus principles. We are close to completing a house in Amherst County Virginia. The solar array on the house will power the majority of the house's energy use. At Studio Z, it’s about you. We focus our combined experience, creativity, and passion for the practice of architecture on acheiving your goals. We create thoughtful design solutions developed through a collaborative process led by you. With you in charge, we are assured that design concepts are born of your dreams, developed with your insight, and launched with your approval. 510_ began with the notion that the strongest architect is one who can build and the strongest builder is one who can design. Our architectural philosophy is rooted in an understanding of materials, means and methods of building, and strengthened by hands-on experience in the workshop and at the jobsite. We provide licensed architecture & interior design services for both residential and commercial projects. We also operate a metal and wood shop offering custom design & fabrication capabilities to the Richmond, VA area. nVisionTEK, LLC offers 3D modeling, drafting, design, visualization, and coordination services to architects, engineers, builders, and homeowners. We leverage the latest BIM (Building Information Modeling) software - Revit, Chief Architect, and SketchUP - to build your project virtually, before it's built in reality. BIM offers significant advantages over traditional CAD, which is unfortunately still common in the architecture industry. Rather than working with only 2-dimensional drawing methods, we instead model everything in 3D with each element having valuable information embedded. This ensures the project is properly designed and coordinated prior to start of construction, leading to significant cost savings to the builder and owner. 3D modeling allows you to better visualize your project and make important design decisions early in the process. We have had many compliments and take great pride in delivering unmatched high-quality work to our customers. Our goal is to ensure the highest satisfaction among our customers and continue delivering the best quality services you can find. NOTE: NVISIONTEK, LLC DOES NOT HAVE ANY ARCHITECTS OR ENGINEERS ON STAFF, AND DOES NOT ADVERTISE AS SUCH. How do I find the best Montpelier architect for my home design project? It is best to hire a home architect who will be involved in all phases of the design process, from the initial concept to the completed construction. The architect is often the first person you will hire for your project. If necessary, they might also help you select and hire Virginia subcontractors, which can include the builders, engineers and landscaper. Interior architects are also involved in negotiating contracts for all involved participants. It is for these reasons that it is extremely important for you to have a good relationship with the Montpelier residential architect you hire. He or she can be the tie-breaking vote between you and the general contractor and can be your biggest advocate during the construction process. Different architecture firms in Montpelier, VA provide different services, so the scope of the work can span from pre-design environmental impact studies to selecting furniture and finishes, depending on what your specific needs are. It is very important to hire the right professional for the job. Remember that the most well-known or established designer might not provide the best architectural services for your needs. It all comes down to the individual project. Research and ask people whose work you like for recommendations. It's important to have somewhat of an idea of the style of house architecture that you prefer, as well as the amount you would like to spend. Residential architects in Montpelier, VA are natural problem solvers. They will assess the entire situation and help you to solve your problems too. Don't settle for a single company too early. Call and interview a few. Make sure that you feel like your personalities will mesh well and that you like their professional perspective. 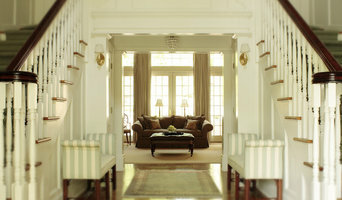 Find a home architect in Montpelier, VA on Houzz. Narrow your search in the Professionals section of the website to Montpelier architects. You may also look through photos of Virginia projects to find interior architects and building designers who have worked on a project similar to yours.